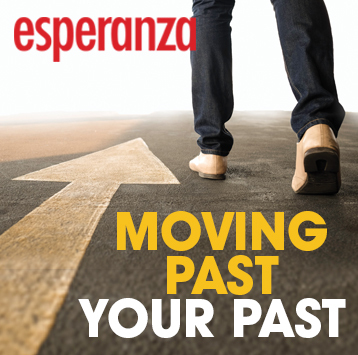 Esperanza Hope To Cope: Whats An Important Step To Reaching Your Goals? I was recently reminded of a lesson I’d learned a long time ago about the most important step to reaching any goal. I had stopped doing this step myself! There’s been an incredible amount of research done, which shows people with “written goals” are more successful at accomplishing them. If you think about it, this makes sense! When we are just trying to remember something, we are more likely to forget about it because there is so much other activity going on in our brain. However, when we write things down, we ANCHOR information in a part of our brain and it ‘stays there’. Have you ever written out a shopping list, forgotten it at home, but still managed to get most of the items on the list? I once heard Jack Canfield, author of Chicken Soup for The Soul and The Success Principles describe written goals another way. It can’t deliver when nothing’s been requested! In fact, writing 2 daily wellness goals was part of the morning routine I created at the treatment program. Each morning patients would have to identify two goals: one they wanted to focus on during the day and another for later the evening. So, there are two ways you can put today’s post in to ACTION. # 1 – Think about the life goals you want to accomplish and write them down! # 2 – Think of 2 wellness goals every day, one for the daytime and another for the evening and write them down every morning! Share one of your goals in the comment box below. 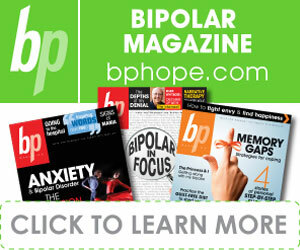 Esperanza Hope To Cope: NJ Ends Discrimination of Behavioral Health! As I sit down to write this post, I am bubbling over with excitement! He was there to sign NJ’s parity bill! This was actually something I’d been a part of for a few years & ultimately had to step away from when I started to have a recurrence of my depression 1 ½ years ago. First, I was so excited for all my fellow coalition members who’d kept up the fight to see it get done. For some, they’d started the battle 7 years ago. Lesson for everyone else: DON’T GIVE UP!!! Second, I was so excited for the residents in New Jersey who now, could not be discriminated against by their health insurance. Just in case you are not familiar with “parity” – let me give a quick overview. For decades, insurance plans covered behavioral health services different from how they cover physical health. This usually led to a lot of needed services & treatment being denied. Basically, if you were in need of behavioral health services, you were discriminated against by insurance plans. I remember 20 years ago when I had a $500 deductible for my physical health AND a $1,000 deductible for my mental health. In 2008, Congress passed the federal Parity Law, requiring the equal coverage. It is up to each state to enforce the law and make sure it was being followed. That was the work started 7 years ago by the NJ Parity Coalition. That was the law signed by Governor Murphy! For more information about how you can find out more about your state or get involved & advocate for equal access, visit Don’t Deny Me. They are an important source of information if you have been denied coverage or access to treatment.